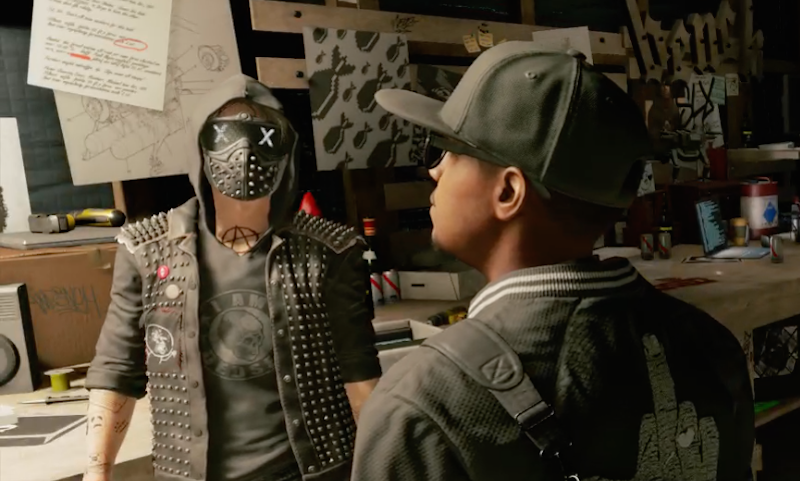 A new 10GB patch for Ubisoft’s Watch Dogs 2 fixes bugs, adds new clothing, tweaks some systems and primes the game for some downloadable expansions, but it also adds a mysterious conversation to the game’s final cutscene. That’s got people guessing, since game endings don’t usually get patched. Man 2: There are new Dedsec cells popping up everywhere. The Middle East, South America, Europe. And not just them. We can’t even keep up with all the new hacktivist groups. Atop their conversation are coordinates that, when punched into Google Maps, lead to the Brixton area of London. Is the new dialogue hinting at a location for Watch Dogs 3? Or is it indeed about the DLC? Games have had game balance tweaks for ages, but patches that change or add to a game’s narrative are rare, if increasingly common, sometimes for the sake of improving a game and other times to hype a new project. Most famously, in 2012, BioWare patched and expanded the ending of Mass Effect 3 to assuage some fan’s displeasure with the ending. In 2010, Valve had re-worked the ending of the first Portal when beginning to tease the development of Portal 2. Last year, Activision added the arrival of a spaceship to one of its Call of Duty Black Ops III maps to tease the announcement of the space-based Call of Duty: Infinite Warfare. And Square Enix is promising a patch to expand and improve the story of the recently released Final Fantasy XV.